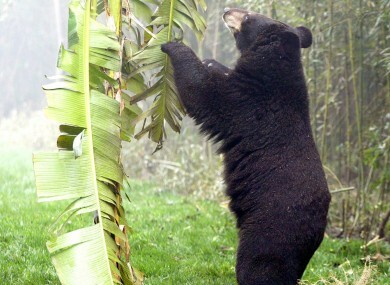 FOUR PEOPLE FORAGING for edible wild plants or bamboo shoots were killed in bear attacks in a small area of northern Japan in three weeks, police said, and authorities are warning people to take precautions. The bodies of the three men and one woman had bites and scratches presumably made by “a large animal,” Kazuno Police Station spokesman Noboru Abukawa said. He added that police heard roars of a bear or multiple bears and saw bears from a helicopter while searching for the victims. The victims, who were aged 65 to 79, were killed in a mountainous area within a 2.5-kilometre radius since 20 May. Police are not sure of the cause of the sudden increase in the number of bear attacks. Abukawa said there had been no deaths from bear attacks in the last five years in Kazuno. The city in Akita prefecture is more than 600 kilometres north of Tokyo. On Friday, hunters shot and killed a female Asiatic black bear with a body length of 1.3 metres about 20 meters southwest of where the fourth victim was found dead, but Abukawa said it was unclear whether the dead bear had attacked the victims. Police are enhancing patrols and have distributed fliers alerting residents around the mountainous area to exercise caution. In nearby Iwate prefecture, eight people were attacked by bears on six occasions between 1 April and 7 June, according to its prefectural website. The Iwate site urges people going into the mountains to bring a bell or turn on a radio to avoid bears. Nationally, 168 bear attacks have been reported between April 2014 and March 2016, according to Environment Ministry data, and 176 people suffered injuries or died in those attacks. Email “Four people killed in bear attacks in northern Japan”. Feedback on “Four people killed in bear attacks in northern Japan”.